We are hosting an evening club for secondary school pupils during the second week of August. The Hot Chocolate Club will feature chat, food (including chocolate of course), games, challenges and Bible. All are welcome. For more information please contact Valerie Sim. The Women’s Fellowship finishes up for the session this Tuesday with a Ladies’ Supper. This will be held in the small hall at the Church. If you would like to come along, please let Margaret Carswell know for catering purposes. We will be holding a service on Good Friday at noon in the Church. All are welcome. Our Easter Sunday service will be held at 11am as usual. Please remember to put your clocks forward on Saturday night! This year’s SBWF Missionary Evening will be held at Airdrie Baptist Church. The speaker will be a missionary from MAF. The Scottish Baptist Women’s Fellowship lunch will be on 30 January at 11am in Motherwell Baptist Church. We have a range of services and events celebrating Christmas this year at Airdrie Baptist. We are hosting our Christmas Carol Service in the Church on Thursday 15 December in the Church. Once again we will be joined by the Salvation Army Band. The evening starts at 7.30pm and refreshments and mince pies will be served afterwards. The event is suitable for people of all ages, children included. All are welcome, please invite your friends. 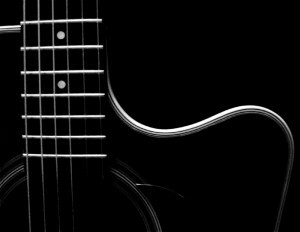 The last Acoustic Cafe Church of the year will take place in the Church hall this Sunday night at 6.30pm. Like before, it is a chance to enjoy fellowship in a relaxed, cafe-style environment. The evening will feature music, a speaker and plenty of tasty treats to enjoy. The funeral of our sister Margaret Foster will take place at Airdrie Baptist Church on Thursday 26 November 2015 at 10.30am. The funeral service will be followed by a short committal service at New Monkland Cemetery and a reception in the Church hall. Please remember Margaret’s loved ones in your prayers at this time. The funeral service of our dear sister and Deacon, Norma Bridges, will take place at Airdrie Baptist Church on Tuesday 24 November 2015 at 10.30am. The service will be followed by a short committal service at New Monkland Cemetery and refreshments will be available at the Tudor Hotel. Please remember David, Pamela, David, Iain and the wider family in your prayers at this time. Our next workshop will be held from 11am – 1pm in the Church Hall. With the Church anniversary service the next day we will be preparing a cake for the celebration. All are welcome to attend. Please add your name to the sign up sheet in the vestibule this Sunday if you intend to come, or contact Elizabeth Richardson or Karin Dunnett. Our Christianity Explored Course starts Thursday 22nd October at 7.30pm. The course runs for seven consecutive Thursdays and offers a great opportunity to take a fresh look at the Christian faith with the chance to listen, question and discuss in a relaxed and informal environment. If you’re interested in investigating Christian claims for the first time, or just refreshing your memory, please come along. You can find out more about the course on the Christianity Explored website or by contacting Jason Leitch. The third in our series of cake decorating classes will take place this Thursday night from 7pm in the small hall. 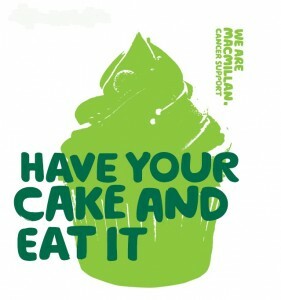 We will be making cakes to sell at the MacMillan Coffee Morning on Sunday 19 September. If you’d like to come along, please contact Elizabeth Richardson or Karin Dunnett. Come and enjoy home-baked goodies and refreshments as we raise money for MacMillan Cancer Support. The morning will feature games including ‘Faked or Baked’, a lucky dip for the kids and a sponsored head shave by our very own Anna Clark. There will also be delicious cakes for sale. The event will be held in the Church hall from 10am – 12noon. All are welcome and please remember to invite your friends along too. If you would like to assist on the day or donate some baking, please speak to Claire Anderson or call her on 07729 558771 / 01236 759141. Following on from our first Acoustic Cafe Church in May, the 20+ group would like to invite you to another one at the end of August. The event will be held in the main hall and will be a night of music, testimony and fellowship in a relaxed, cafe-style environment. All are welcome and there will also be a space set aside for children. Please invite your friends too. Coffee, tea, soft drinks and a range of snacks will be available throughout the night. For more information, please speak to Fiona Nicholson. The second in our series of cake decorating classes takes place this Saturday at 11am in the church hall. The theme this month is cute animal decorations. If you are interested, please contact Elizabeth Richardson or Karin Dunnett. All women and men are welcome to come along.